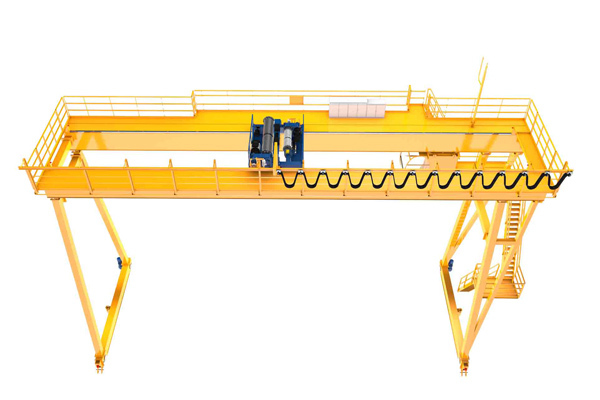 The FEM/DIN double girder gantry crane adopt modularization design for lifting mechanism with light weight, alloy-steel forging wheels and intelligent control. 1. 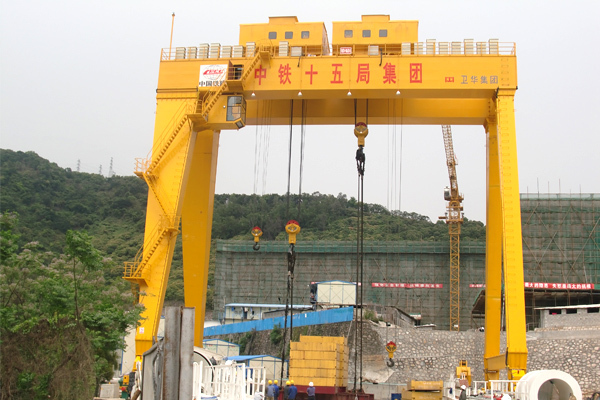 The overall height of the FEM/DIN double girder gantry crane crane can be 20%~25% lower than that of traditional crane with weight reduced by 20%~30%. 2. The maximum wheel pressure can deduct by 15% ~ 20%. 3. 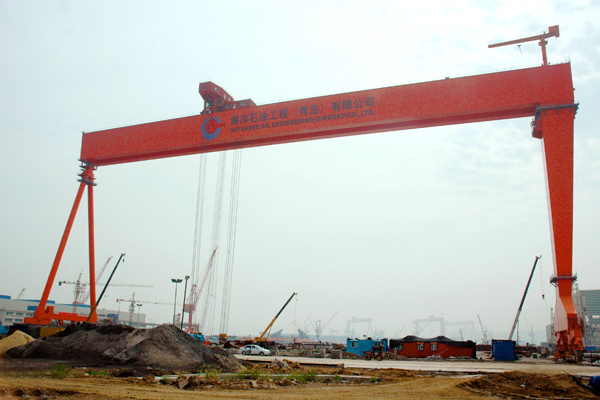 The small size of this crane can increase the working area. 4. With the lightness structure it can cut the construction costs. 5. 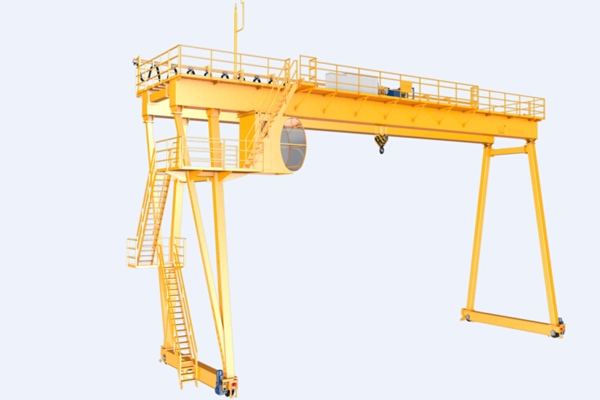 Each spare parts on the crane are design to series standard modulus, which makes easy for the product combination. 6. The independent modulus is convenient for the transportation. 7. 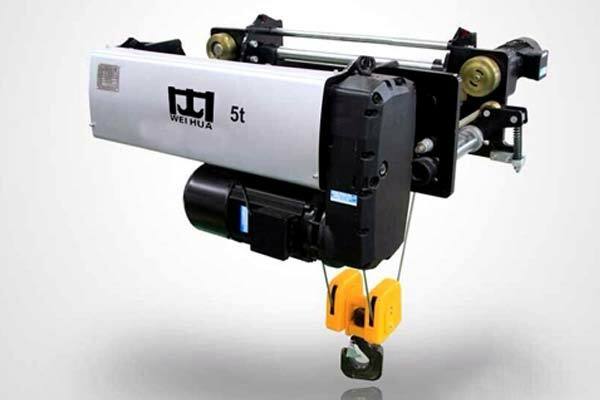 Standard modulus production can ensure stability quality of the product and shorten the delivery period. 8. Sandblasting pretreatment for the steel plate with surface quality reaching Sa2.5. 9. Using digital cutting machine to cut the web plate to ensure the smooth and precision of the camber curvilinear. 10. Main welding seam adopts auto arc merged welding, Ultrasonic, X-ray nondestructive inspection. 11. 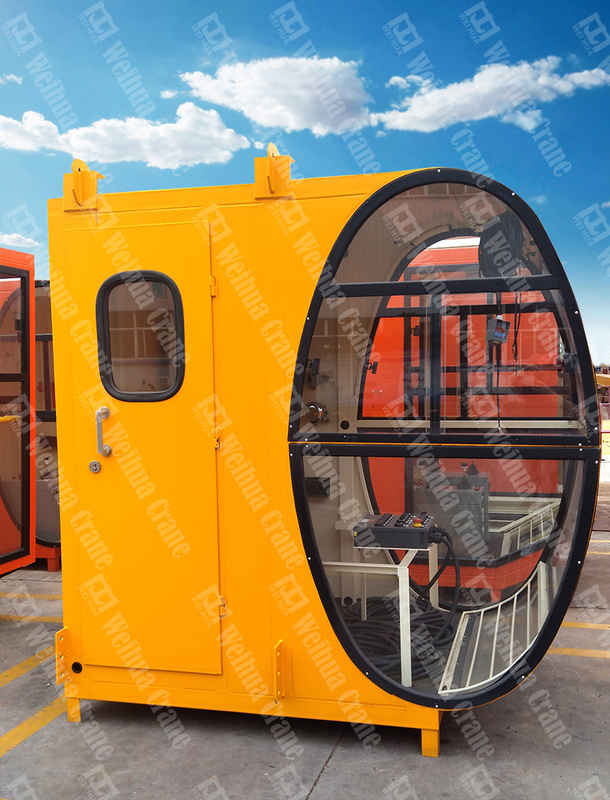 The crane and trolley frame adopts floor type boring machine to ensure the flatness of the machine side. 12. 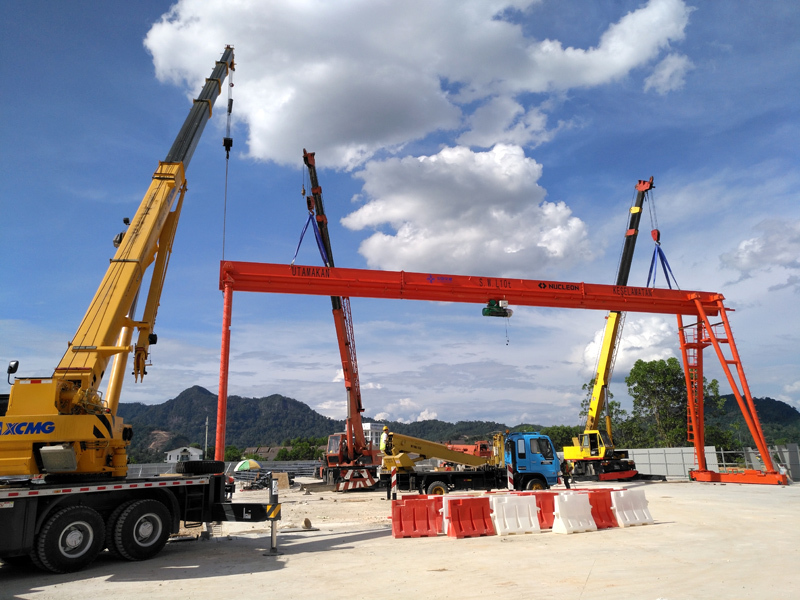 The safety supervises system is equipped with overload limiter, and on the monitor it can display the loads value and remind the operator to prevent the overload happening. 13. Before the start, the entire controller will start self-checking including: power voltage, default phase, the effective of each safety protective device and zero position of the button. 14. 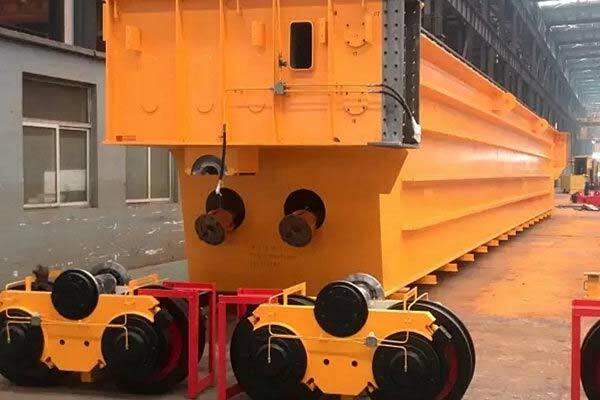 Adopts imported with original packaging from Germany, The brake force shall no less than 2160N/mm2, and its safety factor shall no less than 5. 15. Imported motor with insulation grade is F, and protective grade is IP54, it also have over heated and alarming function, the motor cover adopts aluminum alloy to drawing the molding, with better heat dissipation. 16. Germany imported reducer, harden face gear, improve the bearing ability, better sealing of the shell, ensure there no grease penetration. 17. 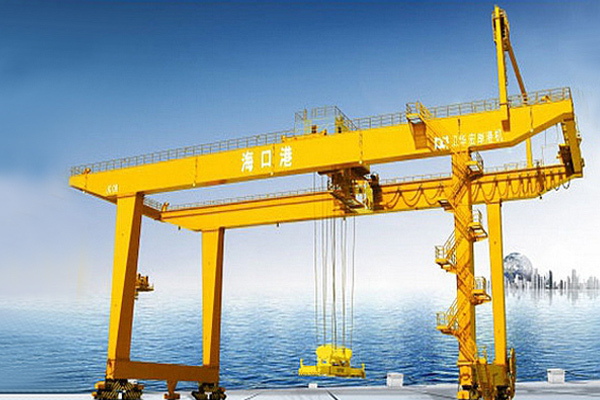 The main electric elements adopts the international brands include Schneider, Siemens, ABB. The protective grade of the electric control box is no less than IP 54. 18. 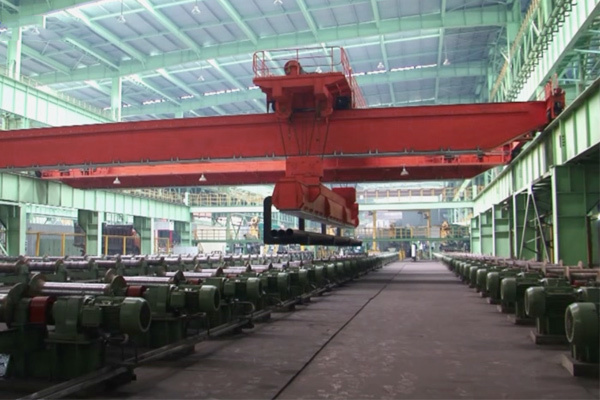 The wheels are forged by 65Mn alloy steel with the performance of abrasive resistance, ant fatigue and long service life. 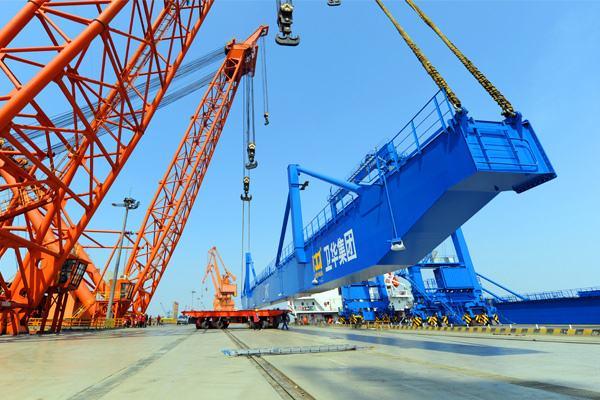 According to the needs of the customer, it also can adopts domestic configuration. 19. 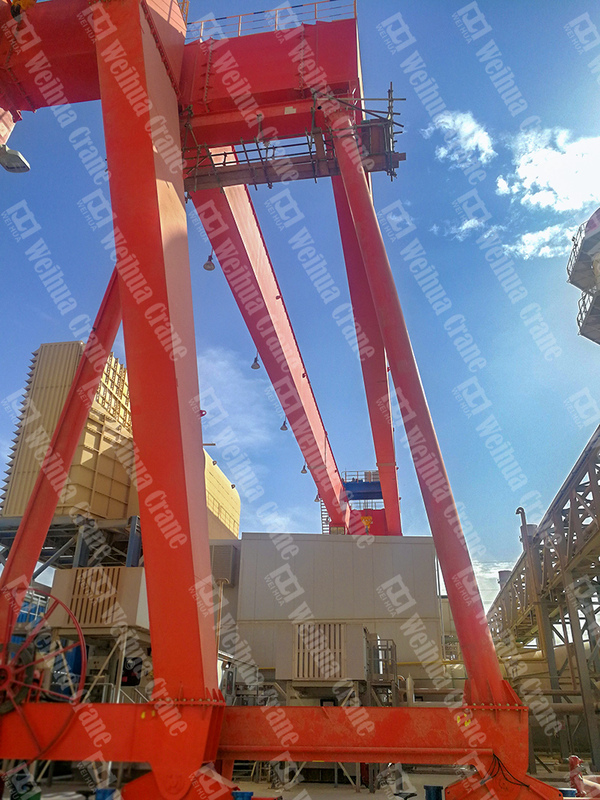 The total power of the crane can be lower by 30% than that of the tradition crane. 20. The multi-in-one integrated transmission mechanism has less intermediate ring knot with high transmission efficiency. 21. 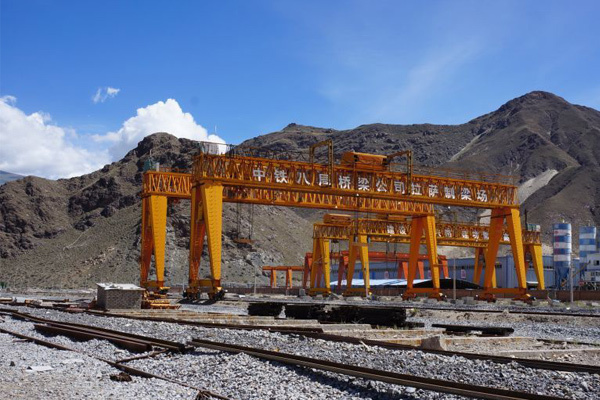 Adopt frequency control with high and low speed ratio 1:10, work efficiency increased by more than 20%. 22. 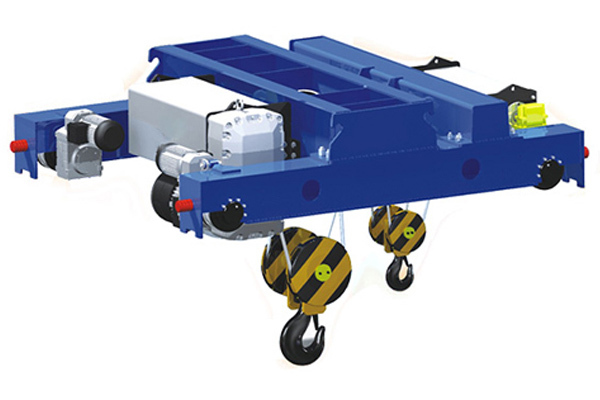 The “Maintenance-free + easy maintenance”design concept reduces customer maintenance costs. 23. 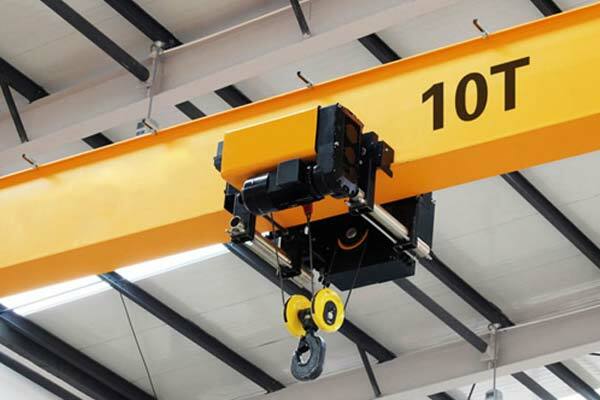 The new style FEM/DIN Crane uses advanced processing technology and high-quality imported components. 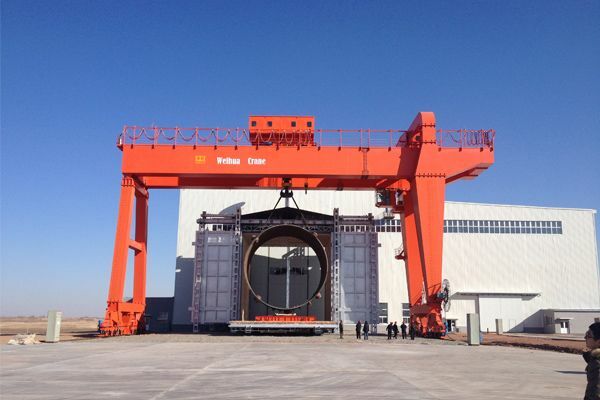 Its failure rate has been greatly reduced, helping customers reduce operating costs. 24. 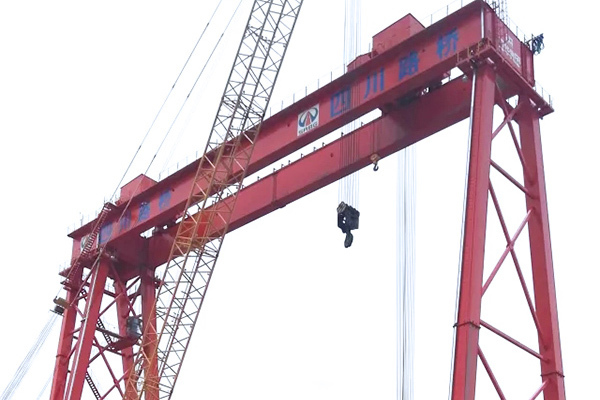 The "black box" of Crane safety monitoring system records crane runs every time for crane. 25. 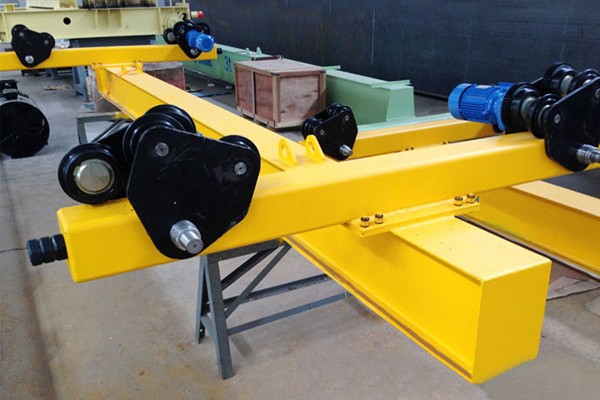 World's leading electrical anti-sway technology can be installed on the crane to achieve precise positioning. 26. 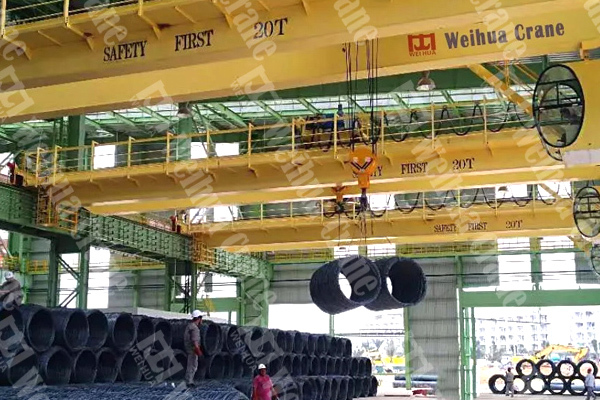 Advanced electrical control technology can achieve the semi-automatic and automatic control lifting, so that the FEM/DIN gantry crane becomes a "Lifting robot".